“O Nobly Born” the Buddhist texts begin, remember your Buddha Nature. Remember your innate capacity for dignity, understanding and vast compassion. These gifts were born into you. Discover how the beautiful qualities of Buddha Nature can become alive for you, in your heart and the way you live. 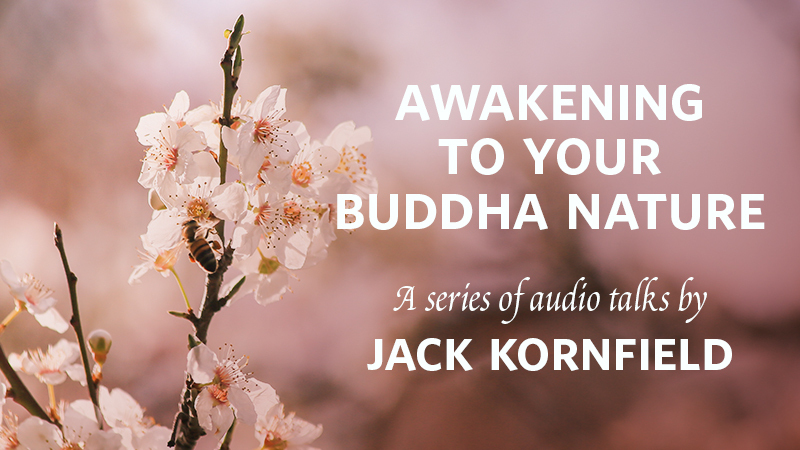 Spirit Rock is pleased to offer Jack Kornfield’s series of inspiring and fresh talks that awaken the qualities of Buddha Nature, traditionally described as inner perfections. Through these teachings and practices, you are invited to bring alive and embody the virtues of the heart, lovingkindness and steadiness, compassion and wisdom. You are invited to awaken the best in yourself. Given in 2017, these teachings are some of Jack’s favorites. They are delightful, poetic and inspired. And even more...they can change your life.